New York Times Reporter, Chris Hedges was Booed off the Stage and had his Microphone Cut Twice as he Delivered a Graduation Speech on War and Empire at Rockford College in Illinois. “Speaker Disrupts RC Graduation”—this is the headline in the Rockford Register Star in Illinois. The speaker wasn’t an antiwar student. It wasn’t an antiwar faculty member. It was New York Times reporter and veteran war correspondent Chris Hedges. Hedges reported from war-torn countries for fifteen years. Hedges spent the last year covering Al Qaida cells in Europe and North Africa. He was a member of the New York Times team that won the 2002 Pulitzer Prize for the paper’s coverage of global terrorism. But this didn’t stop Rockford College officials from pulling the plug on his microphone three minutes after he began to speak. The college president told Hedges to wrap it up. He resumed his speech as to the sound of boos and foghorns. Some graduates and audience members turned their backs to Hedges. Others rushed up the aisle to protest the remarks; one student tossed his cap and gown to the stage before leaving. Rockford College’s most prominent alum is Jane Addams, a pacifist who was booed off the Carnegie Hall stage for opposing US intervention in World War I. Addams was the founder of Hull House, a non-profit social service agency, the first president the Women’s International League for Peace and Freedom and a Nobel Peace Prize Winner. 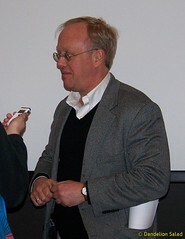 Chris Hedges spent two decades as a foreign reporter covering wars in Latin America, Africa, Europe and the Middle East. He has written nine books, including Death of the Liberal Class, Empire of Illusion: The End of Literacy and the Triumph of Spectacle (2009) and War Is a Force That Gives Us Meaning (2003). 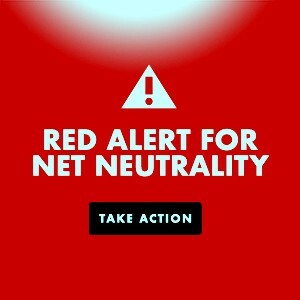 This entry was posted in All Posts News Politics and-or Videos, Anti-war, Dandelion Salad Featured Writers, Empire, Imperialism, Iraq, Iraq on Dandelion Salad, Politics, War and tagged Chris Hedges, Chris Hedges on Dandelion Salad, Hedges-Chris, Rockford College. Bookmark the permalink. A reminder of the original “All Quiet on the Western Front” nothing changes. The strong political platform of everyone should have a education, this situation is a reminder of formal schooling is no way to the path of a enlightened human being, on the contrary often education as we generally mean is a limitation and the road to bigotry and hypocrisy. Often I encounter far more formally educated on blogs than myself, admitted a wider use of language, but you cannot hide bigotry behind the the bastions of language used for one purpose power and control? why do we keep coming back to the same interpretations? because its well entrenched. Truly a sad day, and a horrifying statement on the young in alleged country of the Brave and the Free. My thoughts exactly. Fortunately, not all the youth of today are pro-war.